"Babe, have you been saturating our efforts in prayer?" my husband inquired. Of course, I wanted to say yes-1 Thessalonians 5:17 tells us to pray without ceasing but If we are all honest with ourselves we could be doing much better with our prayer lives. “Saturate,” I thought, “that's a strange way to describe prayer.” But as I continued to mull over my husband’s question I realized that prayer and the concept of saturation were interrelated. As a busy mom of three, I am no stranger to saturation. A good soaker tub, sprinkles of Himalayan Pink Salt, and bubble bath have become my best friends. My husband is aware that bath time is a place of rescue for me. I am unreachable during my “me time.” I close the door, blast my Brazilian Samba music, and float away. While my husband doesn't know the exact sequence of my bath time routine, he does know that it is a priority, it's immersive, it's thorough. In the liturgical calendar, the year is marked by holy days, special seasons and, my favorite, ordinary times. These are the days when, though nothing significant is being observed, our lives are still “ordered”—purposeful, intentional, meaningful. The popularity of Hallmark Christmas movies confirms--we love when those great love stories end "and they lived happily ever" but we loath when the story ends with breakups and broken hearts. That's why Hallmark movies never do. Authors and commentators seem torn between the idea of David and Bathsheba as an epic forbidden romance or a forced assault of power. I would argue for the latter. This isn't a love story between a sinister temptress who seduces a dashing king as they both consent to a riveting affair. Instead, this story demonstrates the misuse of power and deceit, as sexual lust takes precedence over the value of human life. What’s your favorite Christmas carol? I can’t pick just one because many carols bear fond memories of my dad. Each year growing up, my family sang in church choirs and caroled through neighborhoods with a large group of singers. Today, I still sing along every chance I get (out of earshot from others, mind you). You can’t consider Advent without acknowledging the role of angels. Intricately woven into the story of the birth of Christ are these created beings - often pictured by the artists of old with wings, flowing robes and long hair. Consider three of the prominent roles angels played. Know that your ultimate employer is the Lord. Read more about Advanced Christmas Story Trivia: How well do you really know the story? Several years ago, I hosted a neighborhood Christmas luncheon. When I got out my decorations, I asked myself, “What message do I want to give to the women as they come into my home?” Decorating is work; I wanted it to be meaningful! Over the years, I had collected a bunch of odds and ends stuff—mostly things given to me by my mom, our kids, or found in the attics of houses we bought. Recalling a book I read years ago called The Gifts of Christmas by Rachel Hartman, I remembered the author had taken the parts of the biblical Christmas story and considered them to be gifts (music, wonder, love…). Then, she related each gift to the traditions we have for celebrating Christmas. Her book had seven gifts—too many for me to use! So, I took three of the gifts—love, life, and joy— and put my decorations in groups matching the gift along with a descriptive card. “Advent” means arrival. This season looks ahead to Christmas, the miracle of God’s entrance into our world. We anticipate the baby born to die to redeem us from our sin. Although Jesus arrived in a broken world marked by rebellion, division, and sorrow, the Jews found hope in a wealth of prophecies that the promised Messiah was indeed coming to deliver them from the darkness. With apologies to those who have always held her in high regard, I’ve always felt a bit squeamish about focusing on Mary, the mother of Jesus. There is a moment in the 1985 sci-fi movie Cocoon that has haunted me for 25 years now. Senior citizens discover that the water in the pool they’ve been swimming in has a marvelously rejuvenating effect on them. Aliens have stashed the cocoon pods of their cohorts in the bottom of the pool of a rented house, awaiting return to the mother ship. These aliens are light-filled, radiant creatures who cover themselves in human skin to pass as one of us. Christmas has a way of poking around in the shadows of my heart, unearthing the inner Ebenezer. “Bah! 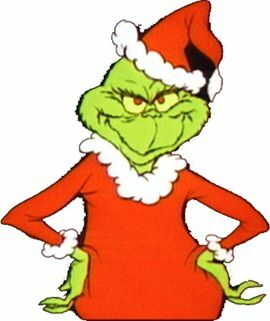 Humbug,” she snarls with a stiffened gait. Oh, Holy Spirit, lead me to Christmas Past – the first Advent. Guide me like those awe-struck shepherds – to the scene of revelation. To the trough where a newborn baby whimpered in the night. Wash my soul with wonder as I ponder the mystery of an uncontainable God slipping into skin and skeleton to make his dwelling among people and destroy the works of the devil. After church one day an older woman approached me and said, “I didn’t see you in church today. I saw your husband take communion, but I didn’t see you take communion.” I responded, “You are correct. I did not take communion today.” To which she replied, “I’ve been sitting in the front row for years, and I know exactly who does and does not take communion.” I think she even ended with a, “Hmphh,” but I can’t confirm that. Now, I sometimes just blurt stuff out without weighing the consequences. Lucky for my husband in this moment I did more weighing than blurting. Anticipating Advent in the midst of the clutter, noise and anxiety of the current cultural pulls is an invitation to shift and prepare our souls for celebrating the coming of Christ—Emmanuel—God with us. The word "advent," from the Latin adventus (Greek parousia), means "coming" or "arrival." The Advent Season is focused on the "coming" of Jesus as Messiah (Christ or King). Christian worship, Bible readings, and prayers not only prepare us spiritually for Christmas (His first coming), but also for His eventual second coming. Job or Ministry—Must It Be One or the Other? While putting my husband through seminary, I spent nine years in the financial services sector working in Human Resources. The parent company has morphed and divided, but basically it’s an S&P 500 company. So, as you can imagine, we had quite the food chain going. Read more about Job or Ministry—Must It Be One or the Other? 24% of American Christians believe in reincarnation, the idea from Eastern religions that there is a merry-go-round of birth/life/death/rebirth, over and over again. This has spawned a fad of "past lives regression," discovering aspects of previous incarnations. Wiki-how even offers instructions on "How to Remember Your Past Lives." There's a book called Past Lives of the Rich and Famous. Supposedly, Whitney Houston's strong attachment to the gospel came from a moment in a previous life where she saw Jesus hanging on the cross. Liz Taylor used to be a Benedictine abbess in medieval Switzerland. Michael Jackson was the son of a royal courtesan in 100 B.C. Burma. And Marilyn Monroe was captured by a band of gypsies in the 1600s. Not so fast. The Bible swats down the possibility of reincarnation: "It is appointed for man to die once, and then comes judgment" (Heb. 9:27). That means that there are no past lives (but lots of opportunity for self- or demonic deception). What one considers child discipline, another considers child abuse. Yelling and hitting may break a wayward child’s will but could also crush a child’s spirit. Too many children grow up feeling unloved due to a parent’s harsh critical anger. Some become timid melancholic children who share their time between unloving volatile homes, and schoolyards where they are easy targets for teasing. And these children will often tolerate abusive treatment as adults.